BOSTON – Local poet John Greenleaf Whittier once wrote, “So long as Boston shall Boston be, and her bay tides rise and fall, shall freedom stand in the Old South Church, and plead for the rights of all.” Fittingly, this historic venue opened its doors on Saturday, April 30th, for the first conference of the Boston Socialist Unity Project (BSUP1). It was an extraordinary gathering of local and regional activists for a day full of learning and sharing, of theory and practice – all focused on building the movement for a society based on dignity and human rights for all. Seeking to bring about unity through collective projects and educational events, BSUP1 was held under the theme: “Building Socialism. Building Our Movements.” It brought together socialists and ﻿activists from a variety of organizations in the Boston area to discuss common areas of work and ways to strengthen each other’s efforts in the long-term goal of replacing capitalism with a more just economic and social system. 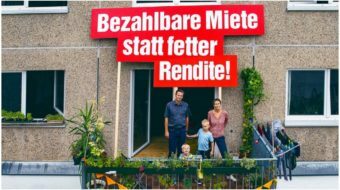 The idea of BSUP was first raised in November 2014 with a talk among local socialist activists about what a minimum level of practical unity between them might look like. While the question of electoral work can often be a divisive one among people who come from different left-wing traditions, social and educational initiatives tend to be areas where more agreement can be reached. With this in mind, leaders of the local affiliates of the Communist Party USA (CPUSA), Committees of Correspondence for Democracy and Socialism (CCDS), and Solidarity were chosen to form a “continuations committee”, to further explore areas of possible cooperation. This committee organized the September 2015 event “Jacobin, Young Radicals, and Left Unity,” with Bhaskar Sunkara and Karen Narefsky, at the SEIU 615 Local in Boston. The question which emerged from this meeting was how to build socialism while also building activist movements. This weekend’s BSUP1 conference was convened to take on this challenge, and it involved a wide range of organizations: Boston for Bernie; Boston Solidarity; Center for Marxist Education; Color of Water Project; Committee for International Labor Defense; CCDS; Communist Party of Greater Boston (CPUSA); Democratic Socialists of America; Freedom Road Socialist Organization; Global Zero; International Socialist Organization; Jill Stein for President; July 26th Coalition for Solidarity with Cuba; Mass Global Action; Mass Campaign to Abolish Poverty; Socialism and Democracy; Socialist Alternative; Socialist Party USA; System Change Not Climate Change; United for Justice with Peace; Venezuela Solidarity Committee; and Workers World Party. Noting how easy it is to get lost and burned out running from one action or meeting to another, opening panelist Cynthia Peters (LeftRoots) poignantly posed the fundamental question: “How do we connect our day-to-day struggles for people in the community with a larger social and political strategy?” She suggested that one of the central means of overcoming this challenge is to plug organizing into a larger social and political agenda. According to another speaker, Jorge Márin of the Venezuela Solidarity Committee, one of the key tasks of building a movement capable of taking socialists to another level of influence and power is to reach out and organize with diverse communities – particularly African Americans, Latinos, and others – locally, nationally, and internationally. To begin building just such a working class movement, the conference conducted workshops to discuss theory, action, and strategy. The “ABCs of Socialism,” facilitated by Jacobin editor Nicole Aschoff, looked at the success of Jacobin magazine and the new wave of Millennials who are thirsty for an introduction to the socialist movement and are looking for ways to participate in it. “Feminism and Socialism,” led by Monica Poole of Bunker Hill Community College, took an intersectional and interactive approach to engaging with feminism. Any preparation for a working class movement must also be practically prepared for state persecution and police brutality, which the “Origins of Police” workshop, convened by Nino Brown of Mass Action, discussed both in terms of political activism and racism. “Secrets of a Successful Organizer,” presented by Chris Brooks and Dan DiMaggio from Labor Notes, featured an interactive look at successfully moving people into action. Vijay Prashad gave the workshop “U.S. Imperialism: Past and Present,” a look back at classical imperialism and its relationship to monopoly stage capitalism. He compared it with current trends of commodity chains and intellectual property rights which have transformed the basis of imperialism in the 21st century. Finally, Chris Williams of System Change Not Climate Change engaged participants on actions to stop the horrific damage capitalism is inflicting on the environment in the workshop, “What is Eco-Socialism?”. An integral theme of the conference, which seemed to emerge organically, was the collective realization of the need to begin building parallel organizations of working class power in the Boston area. Along this strategic line of development, the very existence of the conference – the fruit of over two years of cooperation between local groups – is but one example. 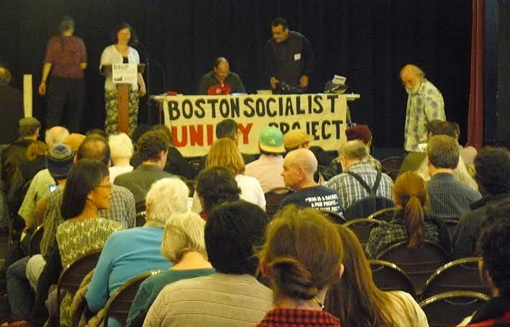 Conference organizers are looking to continue the momentum of BSUP1 by beginning work to set up a Boston Socialist School and coordinating actions to support local labor and solidarity campaigns, like the Verizon workers. A meeting to follow up on the work and findings of the conference will take place on May 14, where planning will also begin for BSUP2 slated for 2017. For more detailed information, visit the Boston Socialist Unity Project website. 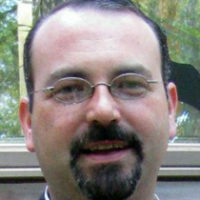 Donald Donato is a writer, priest, and human services advocate from Boston. He has worked with community-based organizations in support of economic, social, and cultural rights as human rights for over 20 years, and he is currently the Area Planner and grant writer for an Area Agency on Aging near Boston.